Since the fatal night of April 15, 1912, when the White Star liner Titanic hit an iceberg and went down in the mid-Atlantic, fascination with the disaster has never abated. In recent years, interest in the Titanic has increased dramatically as a result of the discovery of the wreck site by Dr. Robert Ballard. The ninety-four year old tragedy has become a national obsession. Any fresh morsel of information about the sinking is savored. 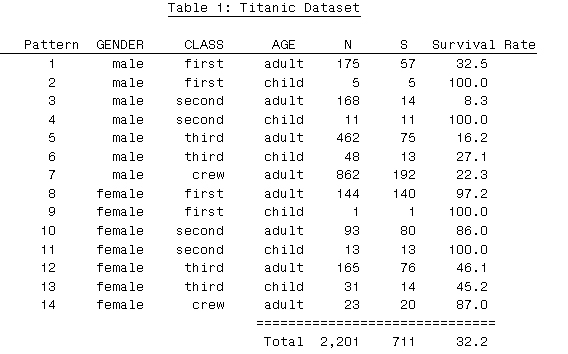 The purpose of this article is to satisfy the appetite of the Titanic aficionado by building a 'Titanic' model to identify survivors genetically - not with their DNA, but with the machine-learning alternative model to the logistic regression model – the GenIQ Model© – so when Titanic II sails we will know beforehand who will be most likely to survive an iceberg-hitting outcome odds of 2.0408e-12 to 1. This analysis shows that GenIQ is both an excellent data ming tool as it uncovers the patterns within the Titantic dataset, and an efficient model building method as it automatically determines the assumption-free, nonparametric Titanic model form. The Titanic GenIQ Model Identification of Survivors - You'll be surprised who survived!